Safety cushion is a cheap anti-fatigue mat that is also lightweight so ideal for rolling up and moving or storing when not in used. 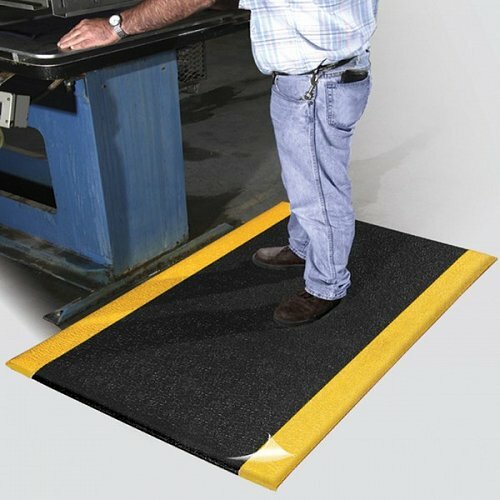 The mat combines the comfort of a soft PVC sponge with a more chemically resistant surface. 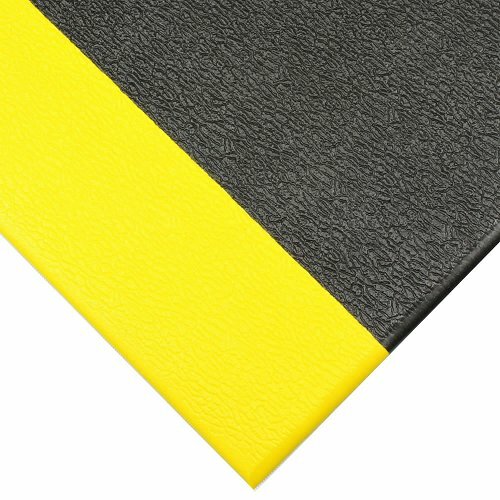 It is a tremendously versatile and still affordable mat with its double thick urethane coating that offers more abrasion resistance than comparable uncoated products. This mat is ideal for laboratories or packing workstations.